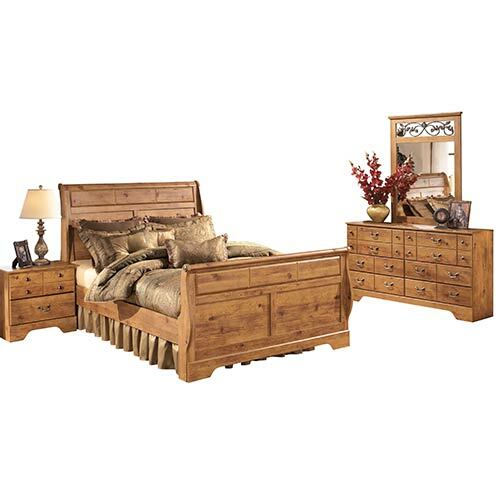 This 6-piece queen bedroom set has a charming, rustic, country-inspired style. 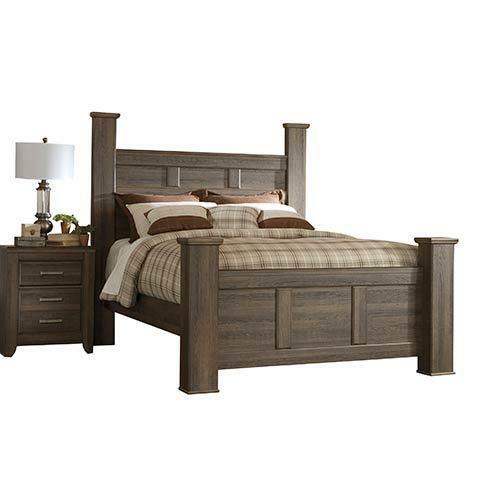 The smooth finish and stately design details of this bedroom set bring bold style to your bedroom décor. 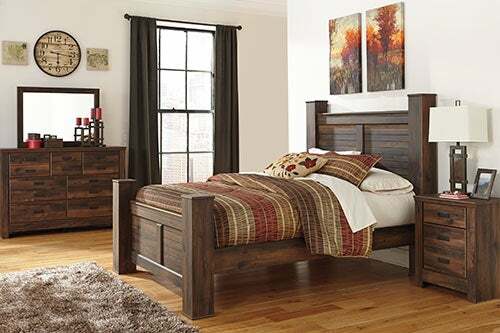 Get a charming, rustic style you'll adore with this 7-Piece queen bedroom set by Ashley. Add a vintage style to your home with this casual bedroom set featuring large-scaled pieces with case pilaster detailing. Bring elegance to your home with the Signature Design by Ashley Constellation Sleigh Bed. 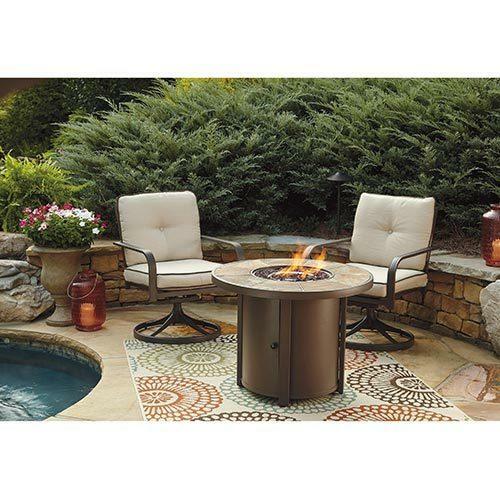 It's a romantic 4-piece Bedroom Set, fit for royalty, ready to enjoy in your home today. 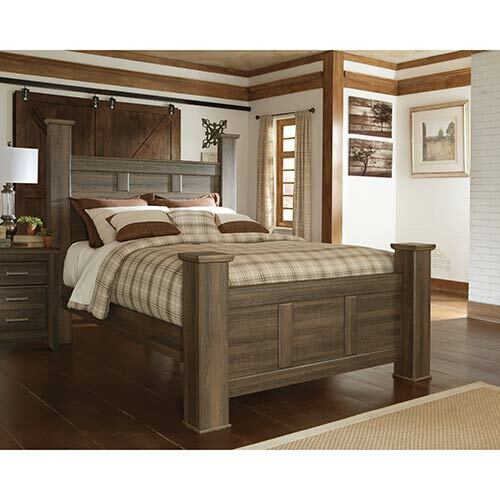 Bring a subtle beach vibe to your bedroom with the smoky, rustic finish of this queen canopy bedroom set. 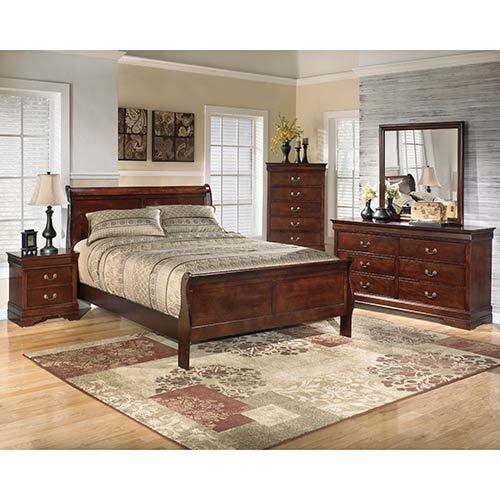 The elegant accents and finishes on this 6-piece queen bedroom set will have you sleeping like royalty. This 4-piece bedroom set features traditional details such as carved scroll motifs and antiqued gold-tone accents and hardware. 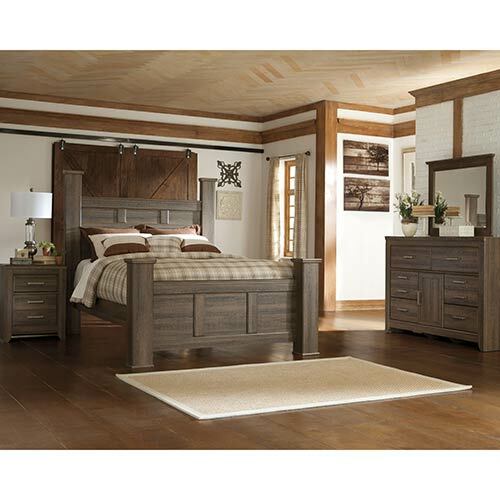 Keep your style casual with this contemporary bedroom set featuring classic lines and complex oak finish. A blend of textures and materials come together to create this contemporary bedroom set. Invite a relaxed sense of elegance into your bedroom décor with the gentle curved details of this bedroom set. 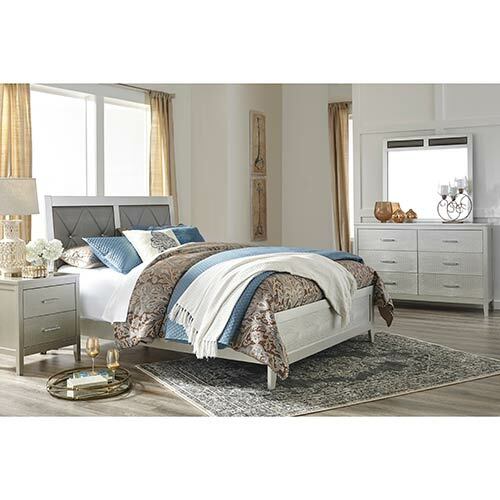 This elegant queen bedroom set features an opulent design with rich design details. Shabby never looked so chic as it does on the Signature Design "Catalina" 7-Piece Queen Bedroom Group that features champagne-toned scroll work, paired with a light opulent finish. 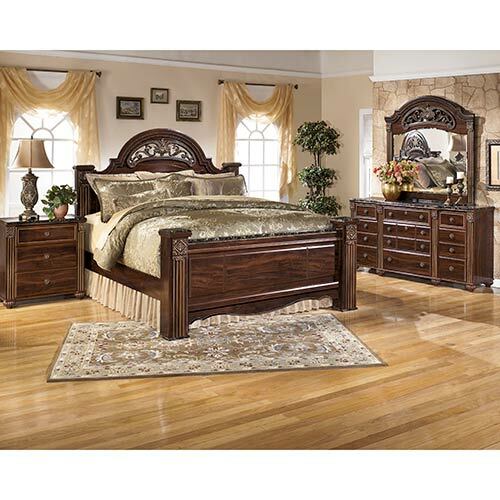 This elegant king bedroom set features an opulent design with rich design details. 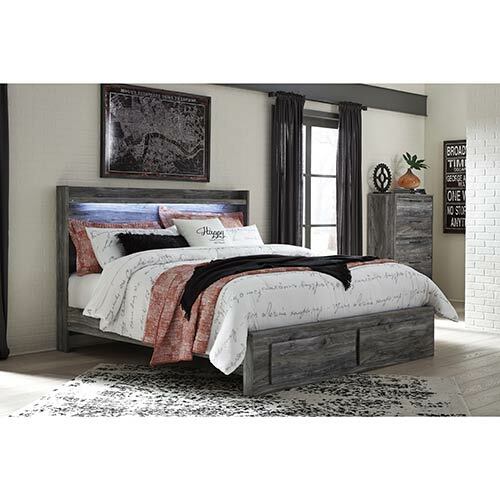 Bring a subtle beach vibe to your bedroom with the smoky, rustic finish of this queen bedroom set. 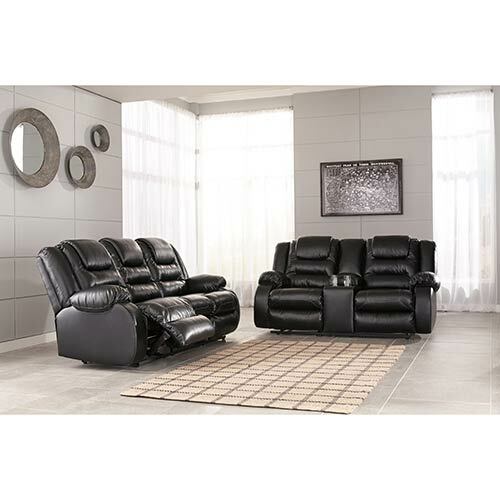 Dark, rich and traditional, this 7-piece bedroom set instantly creates a comfortable and inviting space. With rich style and traditional design elements, this beautiful bedroom set puts you in the lap of luxury. 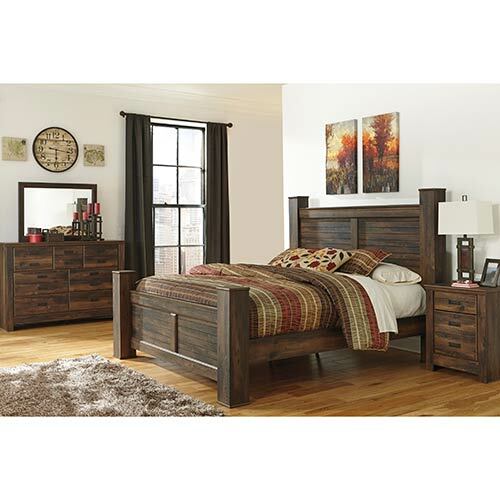 A rustic finish with a mid-century inspired silhouette gives this bedroom set a striking appeal. 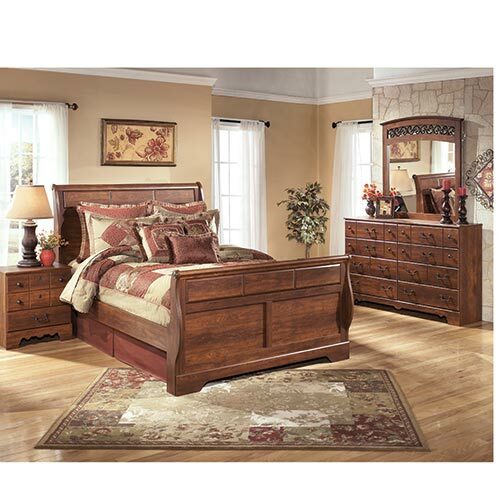 Get swept away by the rich, cherry grain and scaled fretwork of this 6-piece queen bedroom set. 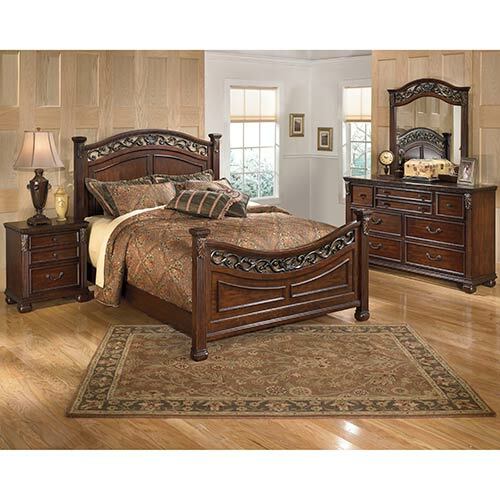 This bedroom set is the ultimate in luxury with the large bed posts and ornate details. Enrich the design of your home with this sophisticated bedroom set featuring faux marble and replicated oak. 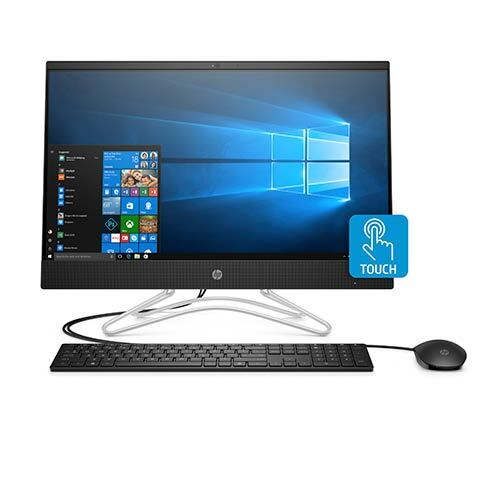 Give your bedroom a dose of Hollywood-style glamour with this 4-piece bedroom set. 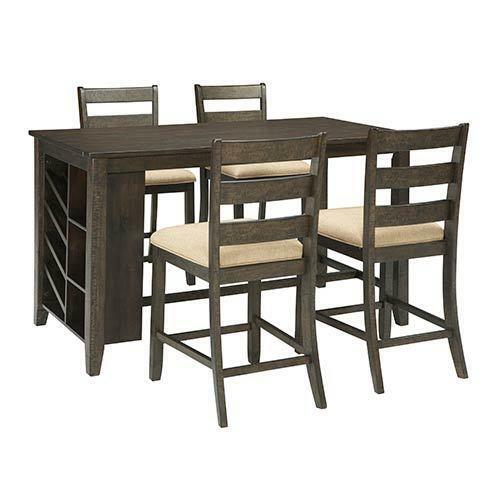 Enhance any bedroom with the design of the Signature Design "Harmony" 4-Piece Bedroom Group. Its contemporary style added with comfort, makes it a perfect addition to your home. 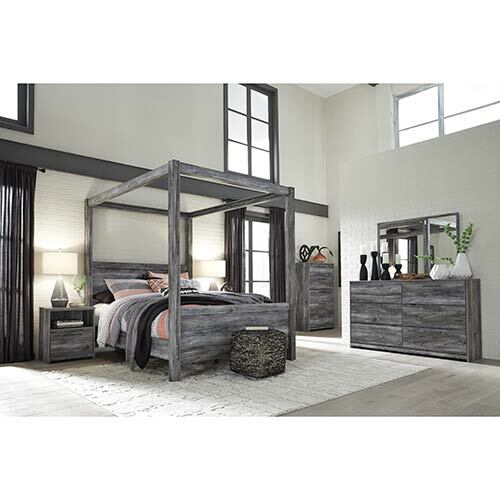 Create a charming retreat with the Signature Design Zelen 4-piece Queen Bedroom Set by Ashley that features a distressed gray to create a peaceful style to call your own. Give your bedroom a dose of Hollywood-style glamour with this 6-piece bedroom set. 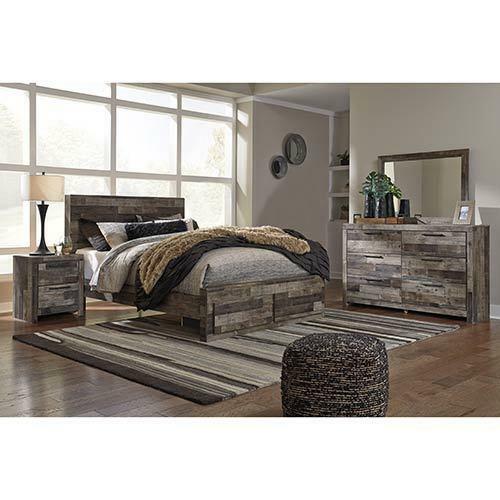 With a modern rustic design, this bedroom set transforms your space with crisp, clean style. 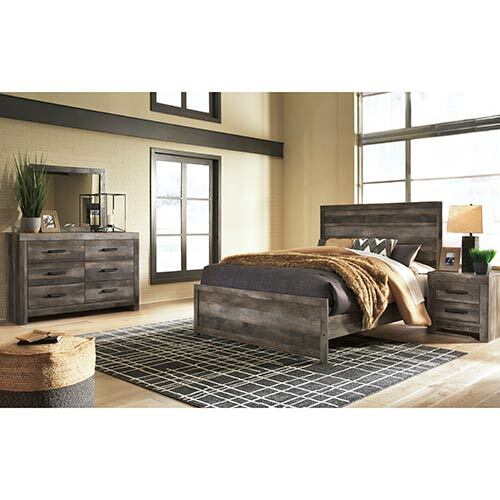 Bring a subtle beach vibe to your bedroom with the smoky, rustic finish of this king bedroom set. 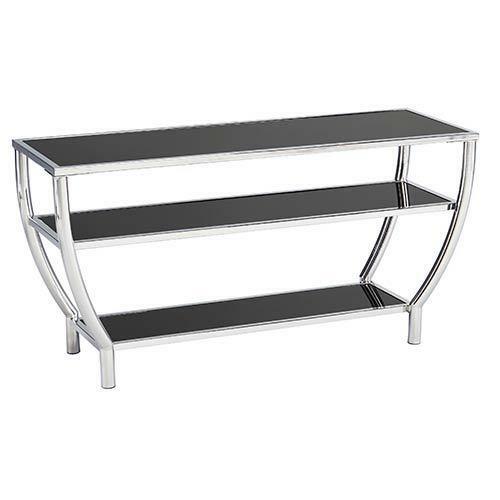 Inspired by Hollywood glam, this richly styled queen bedroom set is simply stunning. 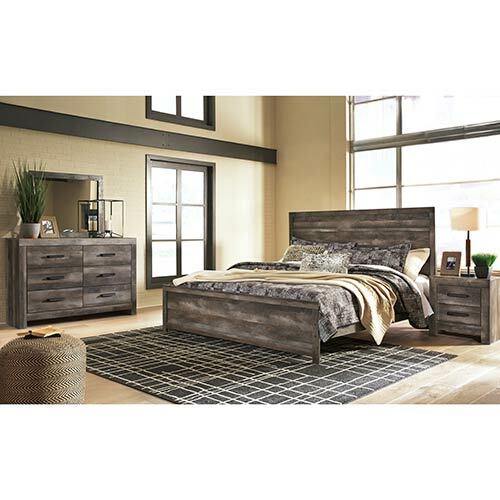 Create the space of your dreams with the Signature Design "Timberline" 7-Piece Bedroom Group. 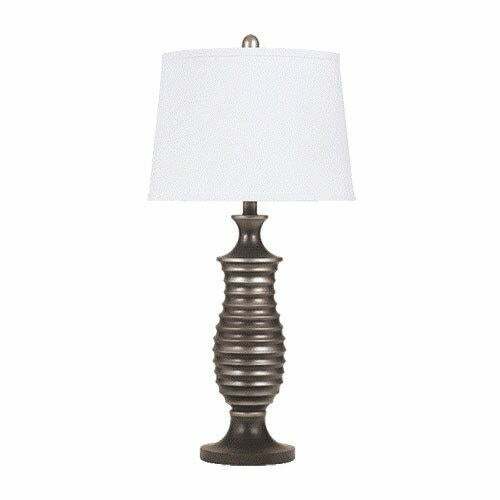 This collection combines country and elegance to enhance the look for your bedroom. 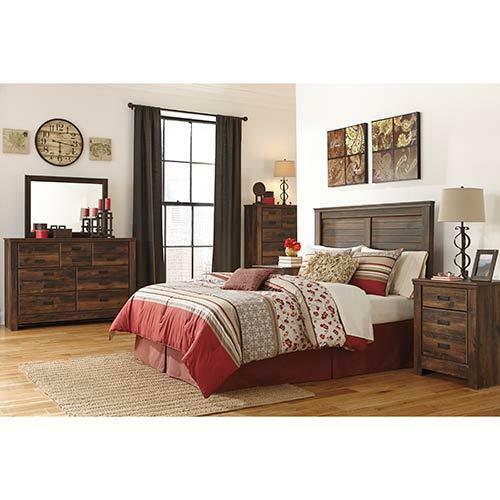 This bedroom set blends modern and vintage elements to give your home striking style with a warm, inviting atmosphere. 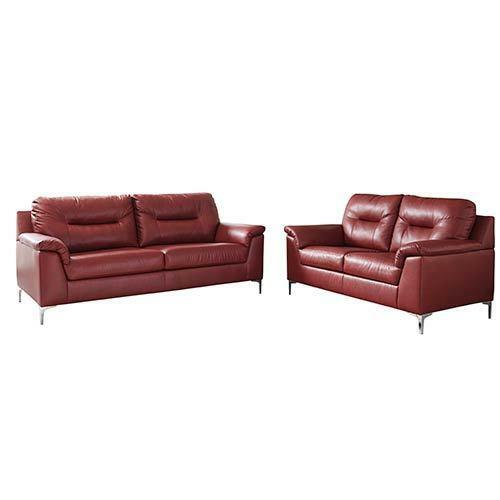 This contemporary, sophisticated queen bedroom set gives a luxurious feel to your home. The elegant design of this queen bedroom set flawlessly captures the essence of old world style. 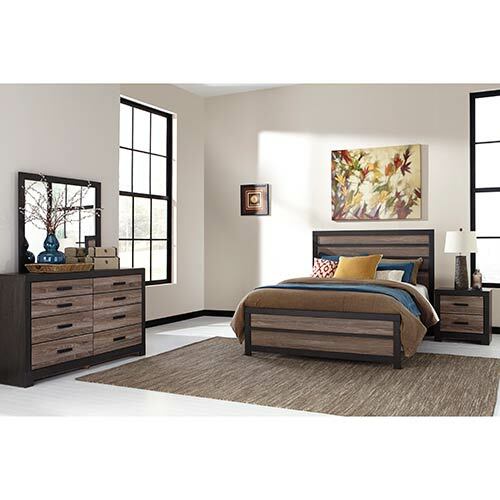 Simple details bring elegant and modern styling to this versatile 5-piece bedroom set. 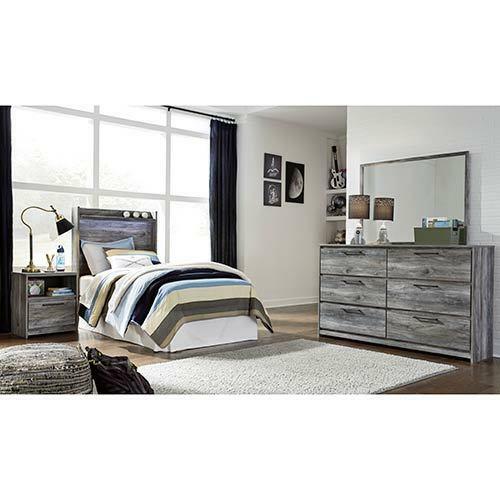 Take your bedroom from boring to beach cottage chic with this 6-piece set from Ashley. 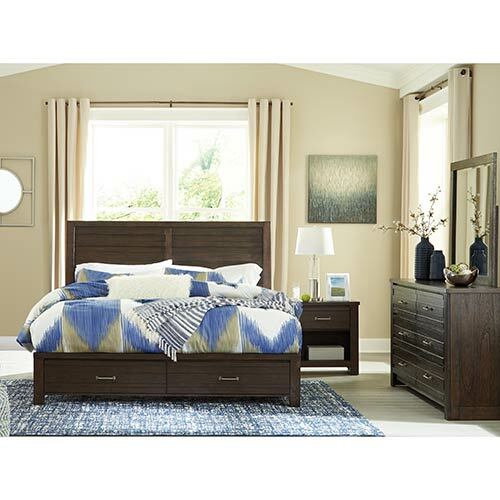 Simple details bring elegant and modern styling to this versatile 4-piece bedroom set. 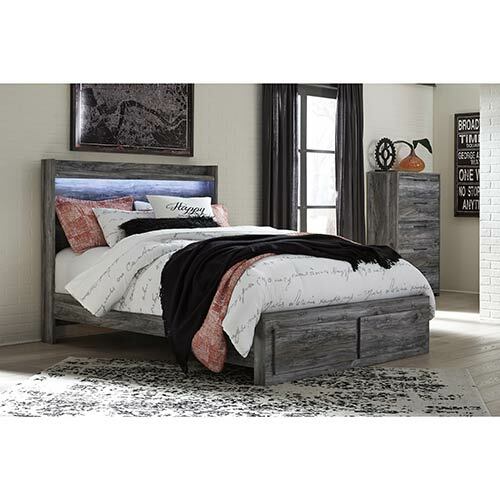 This refreshingly different bedroom set mixes an urban chic design with a touch of rustic styling. 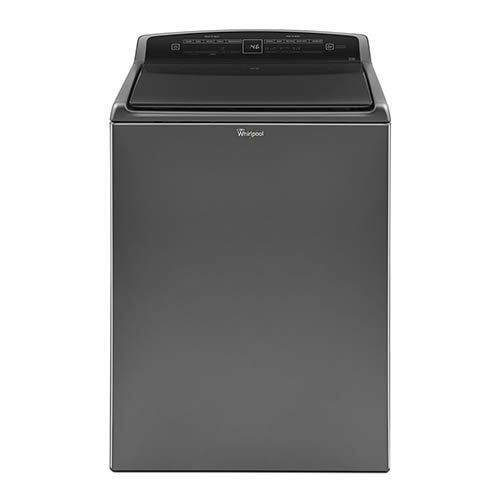 With a smoky gray finish and convenient features, this contemporary kids bedroom set is perfect for any stylish youngster. 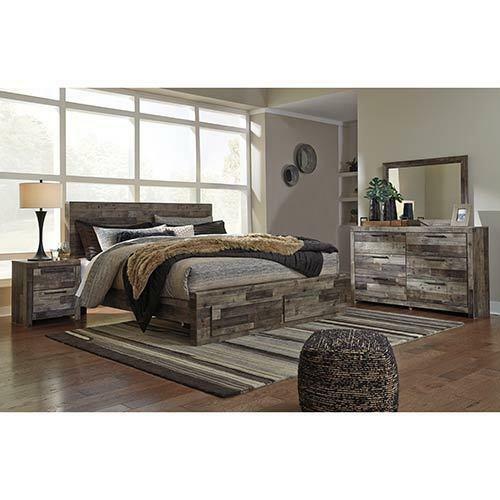 With a rustic look, mixed with modern design elements, this bedroom set is a new take on contemporary.